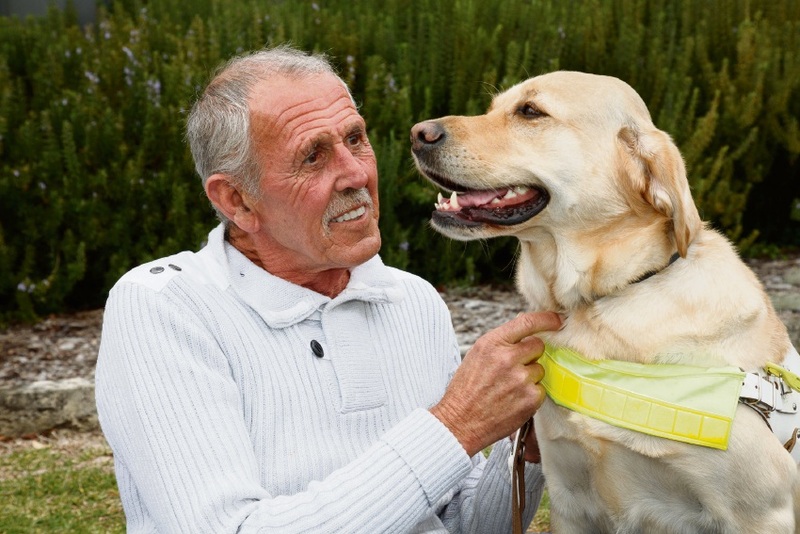 Roger Jones with guide dog Chelsea. MANDURAH resident Roger Jones has found a new lease on life since being matched with guide dog Chelsea last year. On Thursday, the pair celebrated a major milestone together, graduating in a Babbingur Ceremony, hosted by Guide Dogs WA. Babbingur is a Nyungar word that describes a loyal and devoted friendship. Mr Jones said he was diagnosed with macular degeneration about four years ago. “After having cataracts removed but still no improvement in my vision, I went back the specialist and got the news,’’ he said. Macular degeneration causes progressive loss of central vision, leaving the peripheral vision intact. “One good thing is that I’ll never go completely blind but I will lose more and more vision as I get older,’’ Mr Jones said. Now that he has been matched with Chelsea, he’s finding it easier to get out and about independently. “I’m getting out the house a lot more,’’ he said. “I pick up the harness and Chelsea gets excited to go for a walk. “Not only that but she is really good company. “I’m not just sitting inside all day thinking about what I’m not doing any more. “She’s a great dog, everyone falls in love with her. It takes a minimum two years and more than $35,000 to train a guide dog like Chelsea and Guide Dogs WA is reliant on the support of the community to fund the Guide Dog program.